Planning a wedding when you have lost someone dear can be tough. I am very fortunate that I have only ever lost one family member in my 23 years - my beloved grandpa. So I know some other brides to be will be going through this sad step even worse than I. You will always wish they were able to be there. So here are some nice ways to honour the ones you have lost and some way - have them there on your big day. Probably the most common one is to have a toast in their memory. Either after or before the speeches in a great time to raise a glass to those who can't be with us on the day. You can even make it more personal and use your loved ones favourite drink for it. I am a very lucky girl and just before my grandpa passed, he had bought me a pair of the most beautiful Louboutin glitter shoes that were for my prom and 18th birthday. Unfortunately he never made it to my 18th and never got to see me enjoy my shoes. 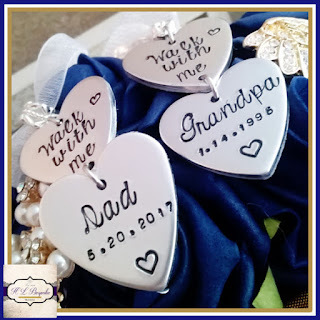 I will wear these for my wedding day that way - as well as my dad - he will be with me when I walk down the aisle. This could be anything that has been passed down jewellery wise or even glasses etc to use during your meal. 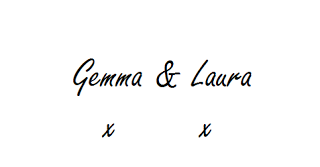 I personally love this one and they are really easy to make yourself if you do the photo ones. 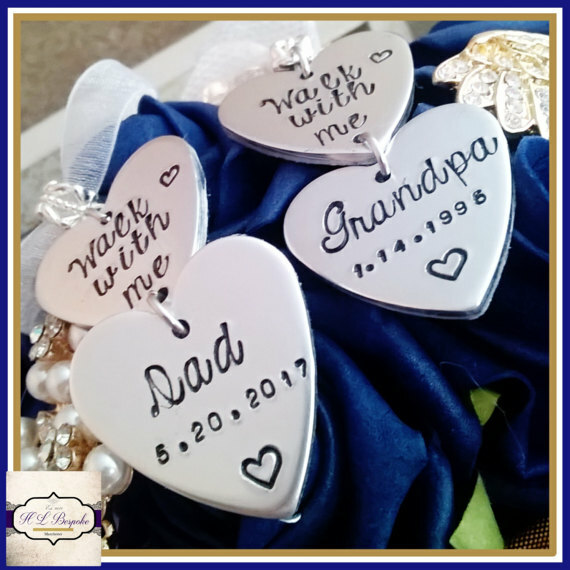 They are really cute and small way to still remember your loved one with such a big part of your day. There are lots of these available on Etsy. I love this one from HLBespoke with you can pick up here if you love it too. Another really good idea is to have a small table set up with pictures of all your loved ones. You can do this for both the ceremony and reception. If your loved one was someone you knew throughout your life, a few pictures of you growing up with them is a lovely way to show how much they meant to you. I was at a wedding a few years ago and the bride had just recently lost her gran and during the ceremony. I think this is more suitable for those who have just recently passed but obviously is everyone's personal taste. I personally prefer a minute applause as it is a great way to celebrate that person's life. These are the ways I know to celebrate a loved one at your wedding. My bridesmaid Caitlyn asked to take care of this task for me which I really appreciate so I wonder what she has planned! Do you have any other ideas?